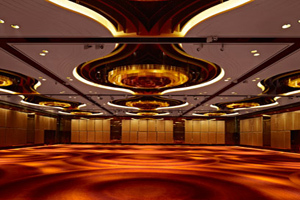 The InterContinental Hong Kong in Kowloon has refurbished its ballroom. The property has one of the largest pillarless ballrooms among Hong Kong’s top hotrls, accommodating up to 1,000 for cocktails and 720 for a sit-down event. The design for the new ballroom has been inspired by the hotel’s location on Victoria Harbour.